When you buy a Samsung Gear smartwatch, it comes with a few default watch faces. While there are a couple of decent ones, most of them are plain and boring. Thus, you should download a few high-quality watch faces to customize your watch and make it more individualized. A perfect watch face can make your smartwatch better represent who you are. Installing a new watch face on your Samsung Gear watch is easy. You’ll need the Samsung Gear app on your phone to browse faces (plus it’s required to sync your phone with your watch). 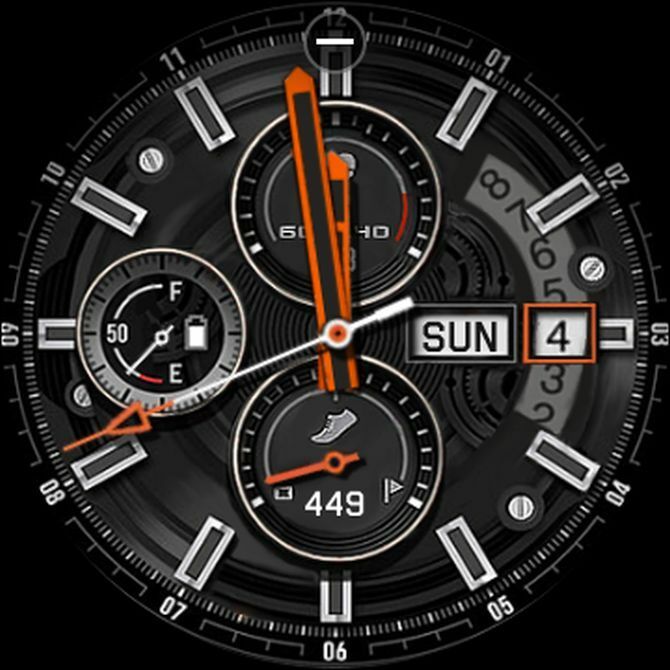 Just click View More under the Featured Watch Faces section to search for any of the watch faces listed below. When you find the watch face you like, you can tap Install to install it on your phone. Once it’s installed, just long-press on your current watch face to scroll through installed watch faces and pick the one you like. G-Watch is a watch face created by Italo Sovena. It’s a sporty face with car dashboard dials to show your steps, battery level, and heart rate. You also get a date display, and shortcuts to four apps when you tap on the individual dials. The background design includes a window into the “inner gears” of the watch. It’s an analog-only watch face that has an stylish industrial feel, ideal for anyone who is into gadgetry. Speaking of which, check out the best tech gifts for geeks if you’re shopping for a gadget fan.